Hypertension, also known as high blood pressure is an asymptomatic disease in general. A person can be suffering from hypertension for years, without even knowing it. The best way to deal with it is early diagnosis and prevention. 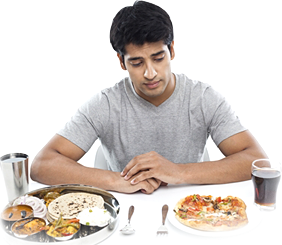 Stress, excessive salt intake and lack of healthy heart-friendly nutrients in diet being the main causes of HBP, a healthy diet and regular exercise routine is always emphasized upon by the health experts. As it becomes a bit difficult to count the fat contents of foods, every time before eating, the doctors have proposed a DASH (Dietary Approaches To Stop Hypertension) strategy that effectively lowers the blood pressure. A DASH diet basically focuses on enjoying a wholesome diet, with the inclusion of vegetables, fruits, legumes, whole grains, fish, poultry, nuts and low fat dairy products on a daily basis. As red meat, excessive sodium intake and synthetic sugars aggravate the situation, DASH diet solely concentrates on the consumption on food that score high on healthy fats and rich nutrients that maintain the blood pressure. To help you get started, here is a simple healthy food guide that is easy to follow and helps prevent hypertension effectively.